Detail of one of a pair of Sirens adorning the sides of the vase. 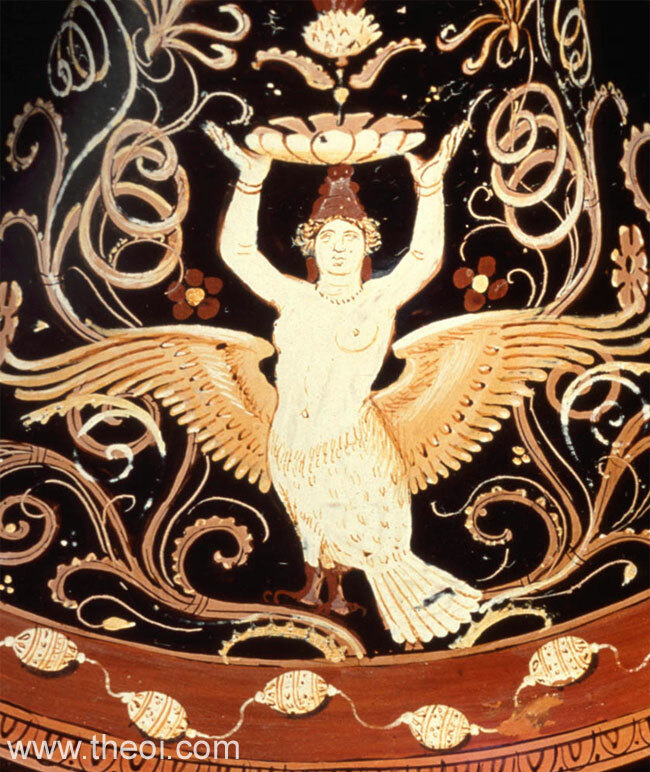 The Siren is depicted as a centaur-like creature with the head, arms and torso of a woman atop the body of a bird. She wears a Phrygian cap and holds a vase above her head. Coils of flowering vines surround her.